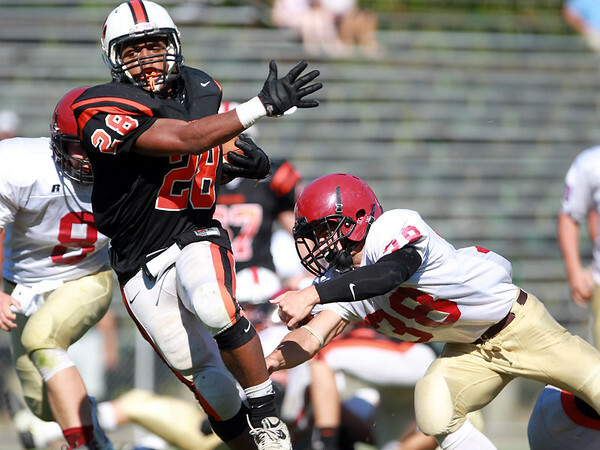 Beverly junior running back Matt Madden breaks into the open field away from Gloucester captain Alex Enes (38). The Panthers pulled away in the second half, defeating the Fishermen 30-16 in NEC action on Saturday afternoon. DAVID LE/Staff photo. 9/27/14.